Barrett is using Smore newsletters to spread the word online. DeWitt was born in Lincoln county Kentucky in 1787. When he was young he moved to Missouri which was owned by the French at the time. When he grew up he married Sara Seely. Later he fought in the war of 1812. In 1822 DeWitt asked for permission to settle in Texas but his petition was not granted. In 1825 he tried again. After gaining support from Stephen F. Austin his petition was granted. He had many problems starting the colony but by 1831 his colony was running smoothly. During the Texas Revolution he traveled to Monclova, Mexico to ask the Government for more land. On his trip he died in 1835. Green DeWitt worked very hard throughout his life on one goal...to earn a settlement in Texas. In 1825, his goal was reached. His settlement was big and was home to more than 400 families. He wanted his land to colonize Texas. To govern is to populate. He was inspired by the famous Moses Austin(Steven F. Austin's dad), but DeWitt thought he could maybe even do better than that of Moses Austin. A problem that he had while starting up the colony was that at first the Mexican government would not let him start a colony. Eventually they did let him in after all his pleading and help from Moses Austin. 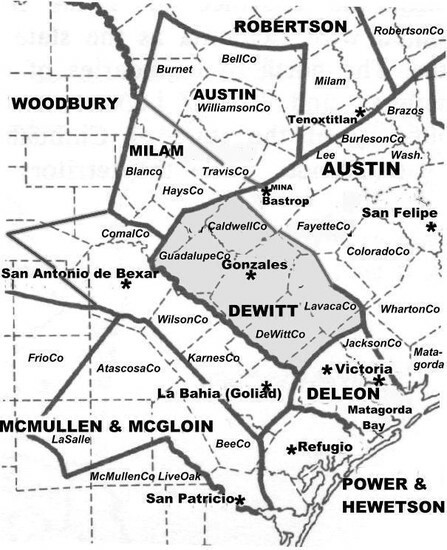 One of the biggest problems that DeWitt faced was that part of the claim that was given to him was also given to Martin De Leon. DeWitt and Leon were not the best of friends. They fought and bickered about what land was theirs. Finally the Mexican Government decide to rule in favor of De Leon. The pushed his land to the west away from the Gulf of Mexico. The Karankawa Indians had a peace treaty with the Texas settlers but the Comanches did not. They often were attacked my the Comanches. Many times they were raided and the Indians toke their resources. A lot of the time they would kill some settlers that tried to stop them from raiding the settlement. In the early years of the settlement the population was about 80 families. With such low population the economy was do alright. By 1831 the population went up a lot and the economy boomed with all the farming and trading in the settlement. In this settlement there was a lot of bad thimgs happening in the settlement. 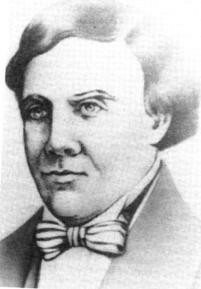 In an attempt to improve his economic position and to secure premium land for settling eighty families, DeWitt journeyed in 1835 to Monclova, where he hoped to buy unlocated eleven-league grants from the governor, who was attempting to raise money for defense through land sales. But he failed to acquire any land. While in Monclova DeWitt contracted a fatal illness, which was cholera. He had great succses because he had over 400 familes in contact to come to his colony in Texas at the time which was more than Stephan F. Austin. The official census of 1828 recorded an increase to seventy-five colonists-eleven families and twenty-seven single men. They were primarily from the Upper South, especially Missouri, Tennessee, and Kentucky, though some came from Louisiana, Alabama, Mississippi, Illinois, Indiana, Pennsylvania, and New York. One was from England. In time the population became more balanced with colonists from the Lower South. By mid-1829 the colony's population more than doubled to 158-thirty families and thirty-four single men, most apparently brought by By Bryd Lockhart. By the year's end 186 colonists were recorded. The greatest increase in population occurred in 1830, when twenty-six families (160 people) and thirty-one single men joined the colony, bringing the total population to 377. He had pretty good land, but when it came to water that was a peice of land that you didn't want because He had a colony in the middle of Deleon and Milam. So he thinks that the best peice of land was Stephans because he had lots of land and he was next to water. Dispite of water he had decent land. There was a catch though. He was in the country side with lots of diseases thats how he infact died from a very bad killing disease called Cholera. 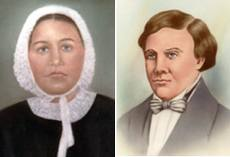 His wife was named Sarah was the eyewitness of Green Dewitt.